Sri Lanka’s ethnic tensions remain predictably grim nearly a decade since the end of the country’s brutal 26-year civil war. The Special Rapporteur’s report is another reminder that Sri Lanka’s coalition government has performed terribly. A new report by the UN Special Rapporteur on the promotion and protection of human rights and fundamental freedoms while countering terrorism released last week makes for depressing reading. Among a litany of concerns, the document categorically states that the Sri Lankan government has not complied with human rights and transitional justice commitments made at the UN Human Rights Council. [T]he Special Rapporteur observed a pervasive and insidious form of stigmatisation of the Tamil community. During the civil war from 1983 to 2009, government forces fought the Liberation Tigers of Tamil Eelam (also known as the LTTE or the Tamil Tigers), a group fighting for a separate Tamil state in the northern and eastern parts of the country. The Tamil Tigers were militarily defeated in 2009, although the root causes of the ethnic conflict remain unresolved. Sadly, the continued marginalisation of the Tamil community ensures that a return to violent conflict (at some point down the road) cannot be discounted. He [the Special Rapporteur] is particularly concerned about the very large, imposing presence of the military in the North, which he witnessed himself in Vavuniya. While he understands that the military undertakes important reconstruction work in that part of the country, he is also conscious of the highly symbolic value of its presence. The pervasive lack of accountability for the war crimes that were perpetrated during the war, the climate of impunity that prevails within the security sector, the overwhelming economic weight of the military, its involvement in civilian activities, as well as the overwhelmingly Sinhalese nationality within the military all contribute to perpetuating the resentment and disenfranchisement felt by the Tamil community as a whole. More generally, the Special Rapporteur’s report is another reminder that Sri Lanka’s coalition government has performed terribly. With the ouster of the increasingly authoritarian Mahinda Rajapaksa in January 2015, some truly believed that major positive changes would occur on President Maithripala Sirisena’s watch. Sirisena made a few early moves in the right direction (and the present administration is undoubtedly less authoritarian than the previous one), although the broader reform agenda has stalled. Always an unusual and awkward power-sharing arrangement, the coalition itself – built upon an alliance between the Sri Lanka Freedom Party (led by Sirisena) and the United National Party (led by Prime Minister Ranil Wickremesinghe) – has never really been coherent. Local polls held in February demonstrated that voters are disappointed with the current administration. A newly created political party backed by Rajapaksa won convincingly. Presidential and parliamentary elections are both expected in 2020, and provincial council polls could be conducted before then. The formation of any grand coalitions to contest forthcoming electoral battles seems unlikely. 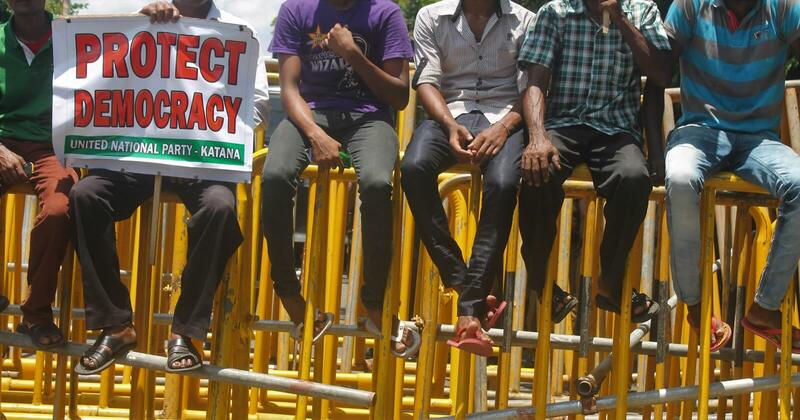 What’s more, the prospect of a Gotabaya Rajapaksa (the former president’s brother) presidential campaign is looming. In his report, the Special Rapporteur has laid out more than 20 useful recommendations for the government. But there seems little chance Colombo will act upon them.